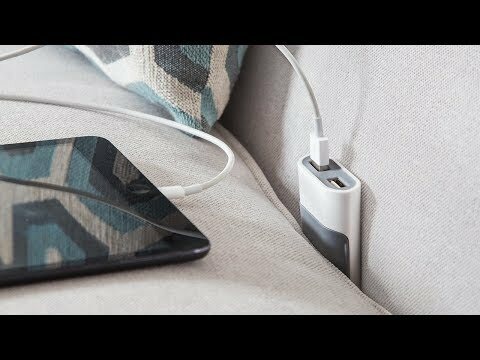 This couch phone charger has two USB ports to power up devices in the most convenient spot—right on the sofa. 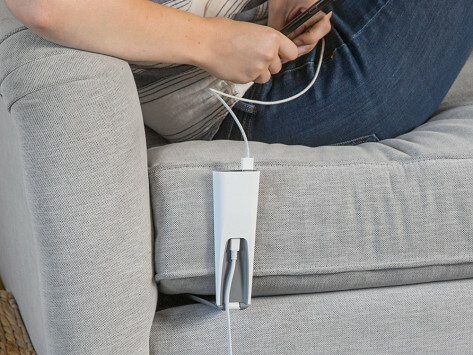 The wedge-shaped design fits into crevices between cushions (it works under a mattress, too), so there’s no more reaching or stretching the cable, or awkwardly pretzel-ing yourself to use your phone while it charges. Dimensions: 6" x 2.07" x 0.75"
Gifted to my techie Grand kids. Lots of smiles from my grandkids since I gave them this charger. My son in law really liked the portability and usefulness of this product. Use it with my Tablift universal stand. Back & forth from couch to bed. It has a fold-out leg for extra stability and a 6-foot cable, making it easier to reach the wall outlet and wherever is your perfect charging spot.